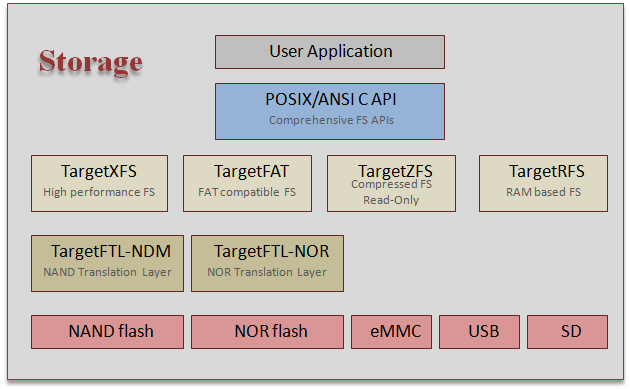 Pre-compiled middleware eval libraries for file systems, networking (including web server), USB, and graphics. Pre-compiled middleware libraries can be licensed on a per-project basis. 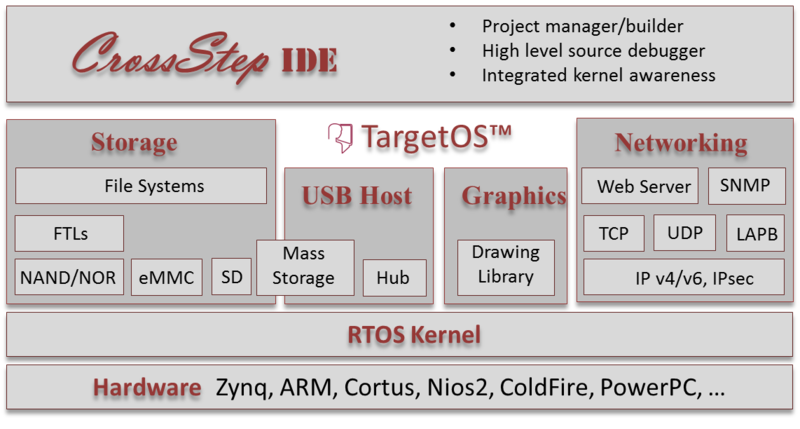 TargetOS is Blunk’s operating system for embedded development. It consists of a free full-featured RTOS kernel and a myriad of system components designed to facilitate state of the art embedded product development. The components are available as evaluation libraries via our download page.